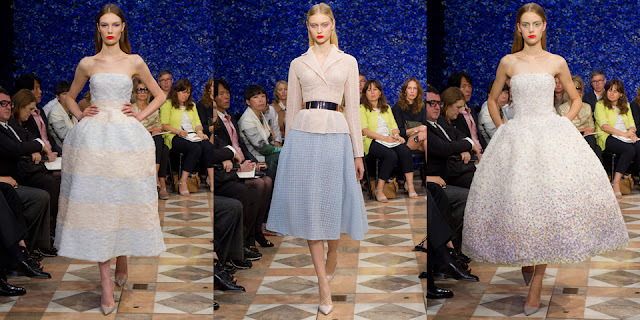 When I first heard that they were replacing Bill Gaytten with Raf Simons I was a little perplexed. 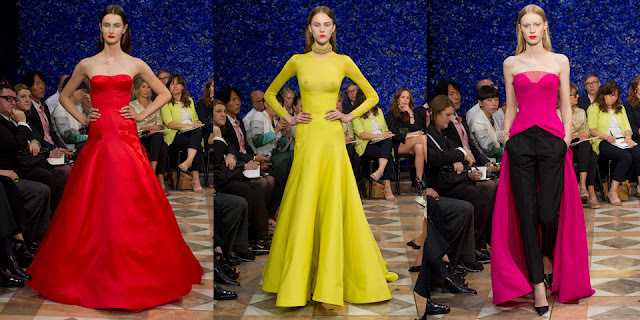 Besides being sad for Gatten, who seemed to be so faithful to the label and such a rock during the Houses biggest controversy, I thought his most recent Couture collection was a vast improvement to his previous efforts. But then Raf Simons presented his first Couture Collection for Dior and put my queries to rest. 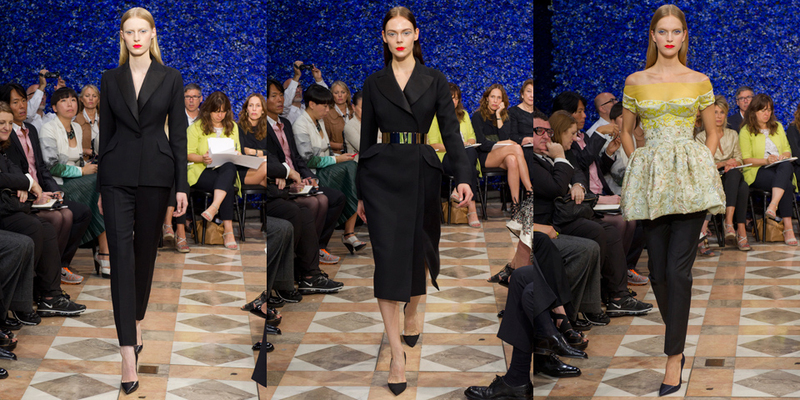 While clearly celebrating some of the most iconic elements of the House of Dior, Simons was able to elevate the collection and truly put a fresh spin on classic styles. 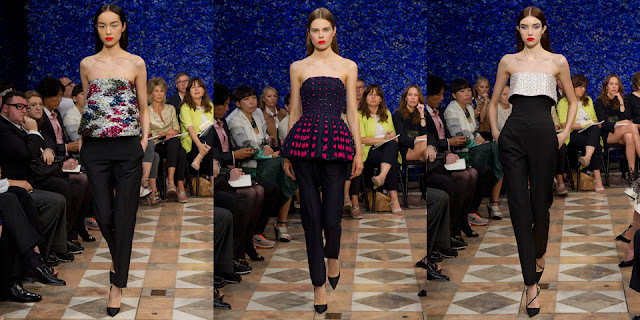 Of course, it doesn't hurt that the peplum and nipped in waist are huge trends at the moment, but Raf was able to magnificently throw all the Dior signature styles into a basket, shake it up and come out with a beautiful collection. Oh and yes, did you know who showed up to this grand event? It was MAJAH. Very A-List Fashion Icons: besides all the top editors, hall-of-fashion fame designers Pierre Cardin, Azzedine Alaïa, Marc Jacobs, Alber Elbaz, Donatella Versace, Riccardo Tisci and Diane von Furstenberg. 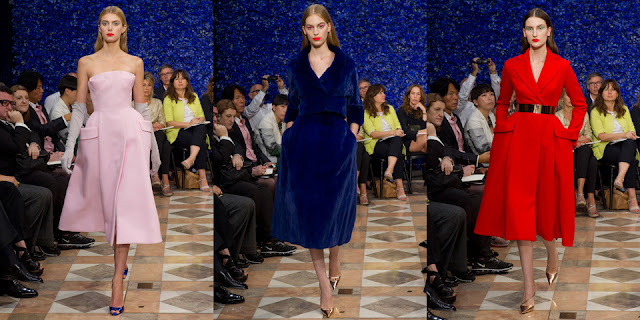 Bernard Arnault, the chairman of LVMH, who is his boss, was seated between his daughter Delphine and Charlene of Monaco. The Hollywood contingency: Marion Cotillard, Jennifer Lawrence and Sharon Stone. 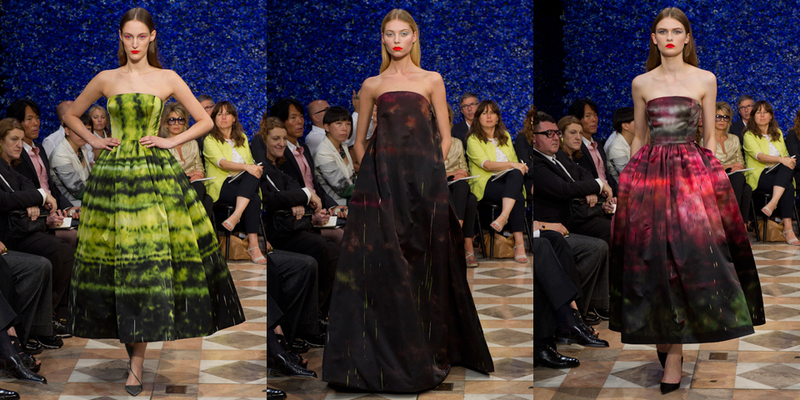 0 Response to "RUNWAY REPORT.....Paris Haute Couture Fashion Week: Dior Couture A/W 2012"